Apoorva Chauhan, a PhD candidate in Computer Science (CS) at Utah State University (USU), determines how social media can be used to improve communications during crisis events. Her research has resulted in five conference papers (one at the top conference in Human-Computer Interaction), four posters, and two best student paper nominations. Chauhan also examines the use of mobile technologies in education, and has collaborated with Dr. Breanne Litts, an assistant professor in Instructional Technology and Learning Sciences at USU on two book chapters for an upcoming handbook. Chauhan was the finalist for the 2018 USU ‘Doctoral Researcher of the Year.’ Chauhan was also named the 2018 ‘Doctoral Researcher of the Year’ and ‘Outstanding Engineering Graduate Scholar’ in the USU College of Engineering. 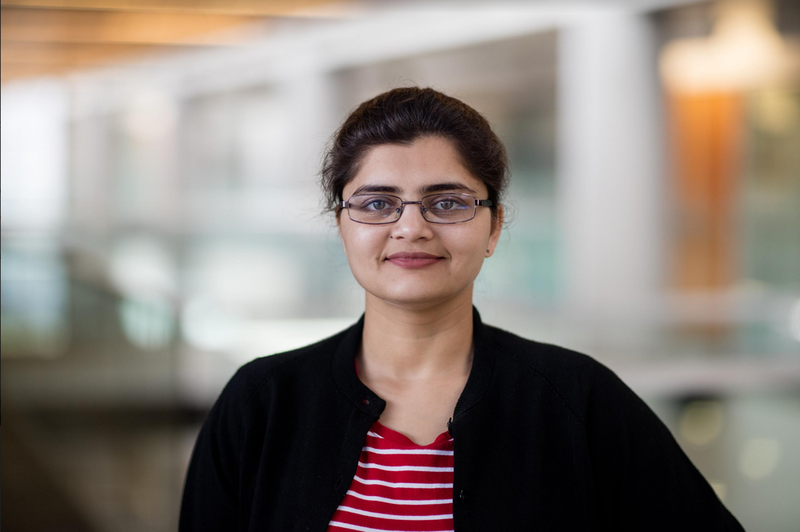 At the CS departmental level, Chauhan was named the 2018 ‘Outstanding Graduate Researcher’ and was offered ‘Research Assistantship’ for Spring 2018. Chauhan enjoys teaching, and has been a CS graduate instructor and teaching assistant for three CS courses. Chauhan received her B.E. in Computer Science & Engineering from Lakshmi Narain College of Technology from Bhopal, India in 2012, and her M.S. in CS from USU in 2014.